Church’s offers a financial planning service, which is tailored to take into account the personal and unique needs of our clients. We take the time to explore and understand what is important for our clients and to then establish their current and future lifestyle needs. We build a plan and an ongoing strategy for our clients to achieve their desired lifestyle. It is important to ensure our clients’ plans can stay on track and we will review the planning on an ongoing basis, adapting the plan to changes that will happen on a regular basis. We understand financial matters can be complex and it is essential to take a realistic approach to help appreciate the wider context and consequences, rather than make any snap decisions in isolation. We work behind the scenes to help our clients remain in control at all times, giving sound advice when needed and regular reviews to help keep things in perspective – leaving our clients time to focus on enjoying the life they want. We aim to provide a successful investment experience by adopting an investment philosophy and strategy based on the science of capital markets. We create highly diversified portfolios, which we match to our clients’ needs and requirements, considering their individual risk profiles and the needs of their financial plan. In summary, invest for the long term, get your asset allocation right, buy and hold, rebalance regularly, accept market returns – and tune out the noise from radio, TV and newspaper commentators so you can get on with enjoying your life. Click this link to view our videos explaining the theory and evidence for passive investing. Working hard to give children a great start in life can mean missing out on the simple pleasure of spending time as a family and creating wonderful childhood memories. Our clients, a professional couple in their 40s, were putting in long hours to provide their children with a fantastic lifestyle, including a private education, but were finding the emotional cost too high. We were able to devise a plan for their future that put quality time with the children at its heart and to demonstrate that with the correct strategy, our clients could support their lifestyle - all the way through to a comfortable retirement - on one salary alone. Greatly reassured, our clients were able to bring about the changes needed to achieve that all important work/life balance. We all have a wish list of things we'd like to do if only we had more time and our client, a successful woman in her fifties, was no exception. She planned to slow down 'one day' and enjoy the lifestyle she'd worked so hard for over the years. In the meantime she was forging ahead with her career. Then, unexpectedly, her partner became ill and was forced to take early retirement. Life was changing and our client realised that, without warning, the elusive 'day' to slow down had arrived. 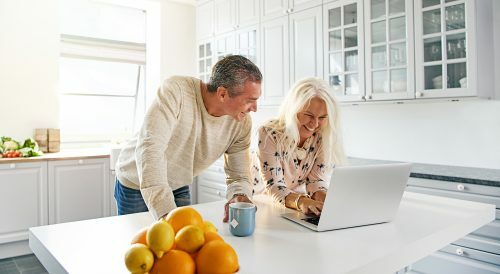 We were on hand to run through our client's financial options and to demonstrate that she could afford to join her partner in early retirement and make a start on that wish list. During discussions on how to lessen the inheritance tax burden to our client's beneficiaries, we advised that the simplest course of action was for her and her partner to marry - and were then witness to an impromptu proposal and acceptance! When our client was offered a 'Management Buy Out' by his fellow Directors, he called us to ask what figure would make this offer viable or whether he would be wiser to continue working within the company. We calculated the minimum amount our client could accept from the proposed buy out in order to maintain his lifestyle and, after evaluating the impact of the deal on his retirement plans, a 'ball park' figure was agreed. Empowered with the knowledge provided by the Church's Financial Planning process, our client went into negotiations with his fellow directors with his confidence high and emerged with an excellent deal - so good in fact that he was able to take early retirement.